/ Modified jan 30, 2014 6:21 p.m. The owners of a recycle arts store on Fourth Avenue say their grandmother was the "original junkster." The three remember visiting grandma at her farm in Kingman, Ariz., and looking through her bottles and metal collection. They are now some of the creative minds behind Pop Cycle, 422 N. 4th Ave., a place where people can find recycled, re-used and refurbished creations, from clothing to whimsical coffee tables and photo frames. Sisters DeeDee Koenen and Jennifer Radler founded the store, alongside Shannon Riggs who is Koenen's partner. 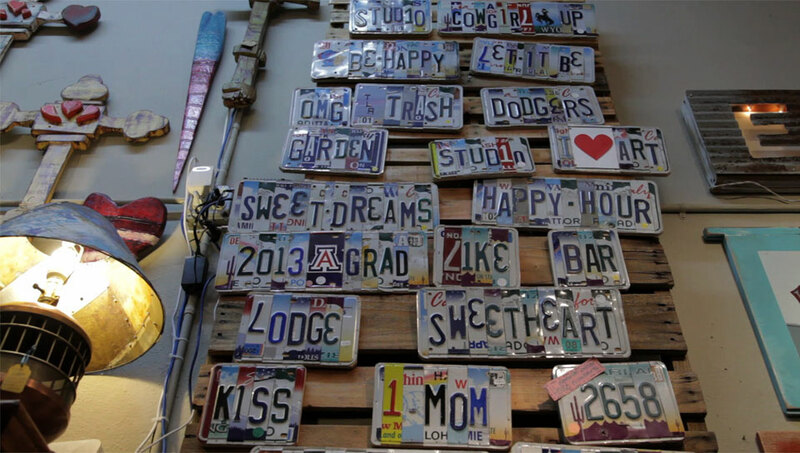 Shortly after, Koenen and Radler's brother Levy Koenen joined and now sells very interesting recycled license plates, made out of old license plates from various states. The store also encourages local artists to come collaborate, as long as they use re-purposed materials.